Millennium 7 Publishing Co.: A World Without Social Media Influencers? A World Without Social Media Influencers? Imagine a world without social media influencers..
Is the multi-billion-dollar marketer's dream a castle built on sand? The lowest point in my career happened around two years ago. I was on a press trip from Jebel Ali to Nurai Island, by boat and sea plane, for the launch of a new luxury brand. It was mid-July. The first part of the trip was delayed by 90 minutes, as eight of us waited at marina in 40 degree heat, for the arrival of two “social influencers”. When the two women finally arrived (looking like they had spent eight hours in makeup), they asked the captain to delay the trip by another half an hour so they could film an “Instagram story.” After several attempts to hold their IPhones to their faces, they finally spoke: “We’re on a boat! We’re on a boat!” And that was it. Bizarrely, the luxury brand in question thought this was fabulous marketing, as it was tagged in the story sent to their 50,000 fake followers. The whole experience (and by the way it got a lot worse) left me scarred for life, questioning what on earth social influencers actually did or what the point of their existence was. Related Article: YOUR Efficient 2019 Influencer Marketing? Now I know the numbers are against me here, given Instagram had more than 800 million active users in 2017 and over $1bn was spent on Instagram influencers alone, including 14.5 million sponsored posts. Around five billion videos are watched on YouTube every single day, with the most successful vlogger of all, PewDiePie, commanding over 60 million subscribers on his channel, and an estimated $12m a year in earnings. Brands clearly love all this stuff. Around $2.38 billion is forecast to be spent on Instagram influencer marketing next year, while the total ad spend on influencer marketing across all platforms could reach $10 billion by 2020. Great. But what do these guys actually do? For the vast majority, the answer is not very much. Firstly there is a huge difference between real influencers and wannabee influencers – unfortunately most on the planet fall into the latter category. Real ones are the likes of Logan Paul, KSI, Mo Vlogs and Lily Singh. I know the first three of these guys – they are workaholics, hugely talented and produce compelling videos that have rightly garnered millions of subscribers and millions in earnings. Brands pay in excess of $200,000 to be associated with them, hoping their endorsement will result in purchases from their millions of fans. I have huge respect for these kind of guys. Huda Kattan has built a billion-dollar beauty empire from scratch, creating wealth and opportunities for so many other people along the way. She deserves nothing but praise. Most of them I would call vloggers rather than influencers, because that’s what they are – in the same way Rita Ora is a singer rather than an influencer. But the rest? Come on now, what do most of them do? I’ll tell you. They spend the day taking pictures of themselves on Instagram, pretending to be experts in a field they know little about. Although most don’t have much cash and have failed in most things in life, they pretend to be living a life of great wealth and privilege. They use tags such as #lovemyjob, #highlife #goodtimes and #lifeisgood. The most annoying of these is #aboutlastnight. In most cases, “last night” involved shamelessly ringing various restaurants, nightclubs, hotels, salons and shops, demanding free stuff in return for a post on Instagram. The morning after is equally shameless, with a few more posts on what an incredible night they had, followed by a couple of hours of commenting on their own posts from other accounts. Often, they add a fake one from a brand saying “Love your posts. Please DM me to see if our brand can hook up with you.” And then by lunchtime, the cycle begins again. It’s dreadful, it’s demeaning, and it is also the world we now live in. And the worst part of all this is that many influencers now believe in their own celebrity status, even though they know it’s largely non-existent. One influencer I know once rang a bakery demanding they send him a cake for his birthday. I don’t know if that’s just sad or tragic – or both. No wonder a recent study by anti-fraud company Sway Ops found that a single day’s worth of posts tagged #sponsored or #ad on Instagram actually contained 50 percent of fake engagements. Out of 118,007 comments, only 20,942 were NOT made by so called “Bot followers”. Instagram Pods (groups of up to 30 Instagrammers who work with each other to comment and like each other’s posts) are another problem. Sway found that out of 2,000 posts, an average of only 36 sponsored posts made per day contained no pod activity. There’s a pattern here isn’t there? Brands clearly love all this stuff. Around $2.38 billon is forecast to be spent on Instagram influencer marketing next year alone. If I ask ten people to tell me I’m brilliant, and I tell all of them they are brilliant, does that make all of us brilliant? (If you are in an influencer and you are confused by this last bit, don’t worry, I will be posting an emoji-only version online). There is a wider question on where society and humankind is heading, but that’s not for these pages. More pressingly, the question is whether brands and advertisers will carry on throwing more and more cash at them. 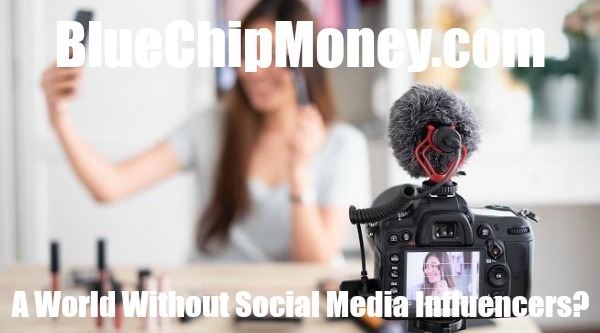 Or whether, as I suspect, the influencers with massive YouTube followings – who absolutely have to be talented and hardworking to succeed – will get the lion’s share of the spend, while influencer marketing through channels such as Instagram will decline. The increased calls for transparency, and excellent regulations, such as those recently brought in by the UAE, can only be a good thing. In the coming months and years, I suspect many of the usual suspects will realize the game is up and try and get a proper job. As for the industry, every expert I speak to predicts the real future is micro-influencing. We could even see influencers with followings of just 2,000 becoming serious players – especially in niche industries as specific as dry cleaning and renewable energy. Even more generic areas like travel and food are, I would think, increasingly likely to veer into the micro influence space. A travel Instagrammer with 8,000 followers, who only ever posts about travel, will be of better value to advertisers than one with 100,000 follows posting about travel, nights out and fashion. And consistency – which is in short supply – will be crucial. If I follow a fitness expert, I have no interest in seeing you drive the new car you got last weekend (for free). Guest Authored By Anil Bhoyrul. Anil is Writer and Editorial of Arabian Business. Follow Anil on Twitter. "With a possible $10 billion spend on influencer marketing by 2020, the fact is this is a huge industry.